No doubt you are going through a painful time and our heart goes out to you. You cited “irreconcilable differences” as the reason for filing for divorce from your husband Brad Pitt. 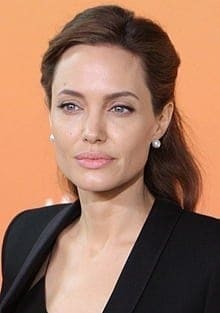 The media is speculating that you and Brad have had conflict surrounding parenting styles, or that substance abuse or infidelity may have led you down this path. Whatever the real reason(s) for your painful decision to get divorced, we wanted to help you minimize the potential harm for all involved, especially your six children. Here are 6 things we wanted you to keep in mind for your sake and for the sake of the kids. 1. Make sure your choice is conscious and not reactive– When a marriage goes wrong, it can be the most painful experience you’ll ever face. Pirkei Avos (Ethics of the Fathers 4:18) teaches “Do not try to pacify your friend at the time of his anger and do not comfort him when his dead lies before him.” This is because one cannot reason when under emotional distress. For a decision with such wide ranging ramifications as divorce, it is crucial that it be a conscious choice. Take time to really think it out. 2. Don’t leave blaming your spouse– You most likely have a lot of good reasons to be upset, yet if you leave your marriage pointing fingers, you’ll also lose out. In every relationship, both partners bear some level of responsibility. Naively thinking your spouse is solely to blame for your relationship problems does yourself a disservice. That’s because if you decide to move on, you will take whatever baggage you brought to the relationship with you. Ignoring your role allows you to remain vulnerable to similar trouble in a future relationship. Contrary to popular belief, taking ownership for the role you play does not invalidate the hurt you feel and the responsibility that your spouse has in the matter. It will also allow you to be more emotionally healthy instead of holding onto negativity and bitterness in your heart. 3. Get in touch with your inner truth- Many marriages have their challenges, yet they don’t necessarily need to end in divorce. There are effective ways to repair even the most difficult situations, if you’re willing to make the effort (even if you’ve tried unsuccessfully before, it’s time to look for alternate solutions). When deciding to divorce, it’s important that this decision emanate from you, and not from social pressure or other influences. It’s very easy for friends, family, and even therapists and clergy to make suggestions or cloud your thinking about your spouse. Outside influences can egg you on to the point that you no longer can distinguish between what you really want and what others think is in your best interest. Before you make such an important decision, clear out all of the external chatter and really get clear about what you want. Deep down inside we have all of the answers. Now’s the time to access them as you are the only one who will have to live with the consequences. 4. Put yourself aside for the greater good– Since you have children, even if you end the marriage, you’ll always be in relationship. It’s easy to think that divorce is a way to move on, yet you’ll always be connected to your ex. In fact, once you get divorced your ex may become even more angry and vindictive and make your life miserable. Your kids are likely to become a pawn in this game if you don’t put their needs first. Even if you have hurt feelings, you will still need to co-parent and learn a way to communicate with each other. It’s advisable to begin learning safer and more productive communication tools, even before you split up, so that the transition is as smooth as possible for the kids. 5. The grass isn’t always greener on the other side- It’s easy to think your life will better if you leave a miserable marriage. The single life can seem freeing and even glamorous at first, yet it gets old quick when you’re all alone. Or perhaps you want to get married and are counting on finding someone better. That’s also a pipe dream. 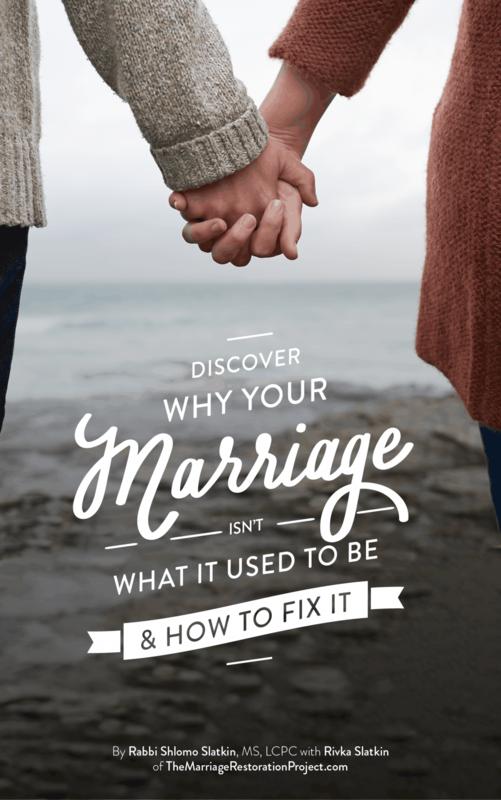 The couples that I work with in second marriages often comment how much harder it is and how they wished they had gotten it right the first time. This doesn’t mean they won’t succeed; it’s just not as easy as you might imagine. So if your motivation to leave is that you’ll find something better, you may want to find a more compelling reason. 6. Learn from your parent’s mistakes– As an adult child of divorce from a broken home, you no doubt experienced things that kids from intact families didn’t see. You’ve had to work extra hard to make your relationships work as you did not have role models. You learned as a child that divorce is always an option when the going gets tough. You’ve personally been through this twice before and know how hard it is, but this time there are six kids to consider. Challenge yourself to go deeper and see if this is an easy exit for you instead of putting in the hard work needed to create a lasting relationship. Divorce is not something to be taken lightly. The Talmud teaches that, “A Man who divorces his first Wife, even the Altar sheds tears” (Gittin 90b). 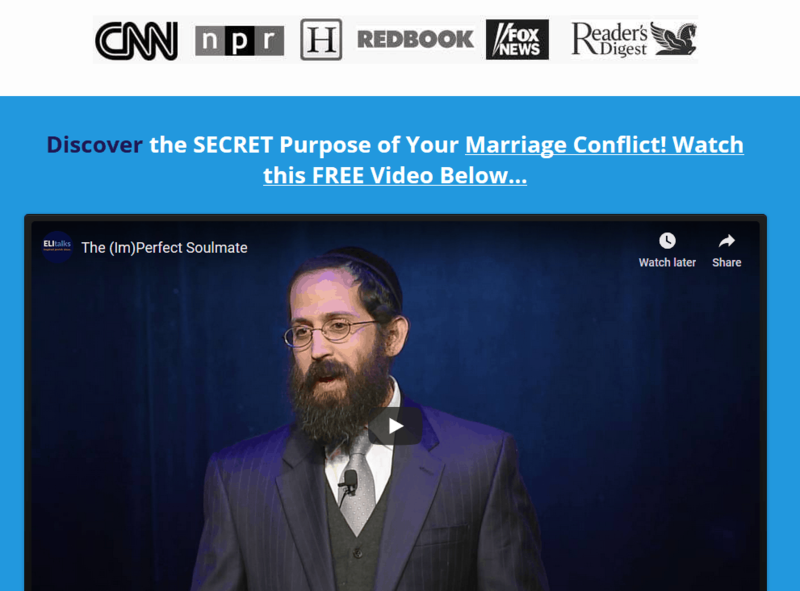 While there is a whole Talmudic tractate dealing with the laws of divorce, as Judaism permits divorce, if at first you don’t succeed try try again. Divorce should be seen as a last resort when all other options have been exhausted – as a marriage is not like a computer that is meant to be replaced every few years. If you do choose to go the route of divorce, bear in mind these 6 healthy ways to end the relationship that will not only benefit children involved – but you as well! Divorce should be a last resort. Have you exhausted all other options? If you’re approaching divorce, and/or have been really disconnected lately, you need to take totally different action. 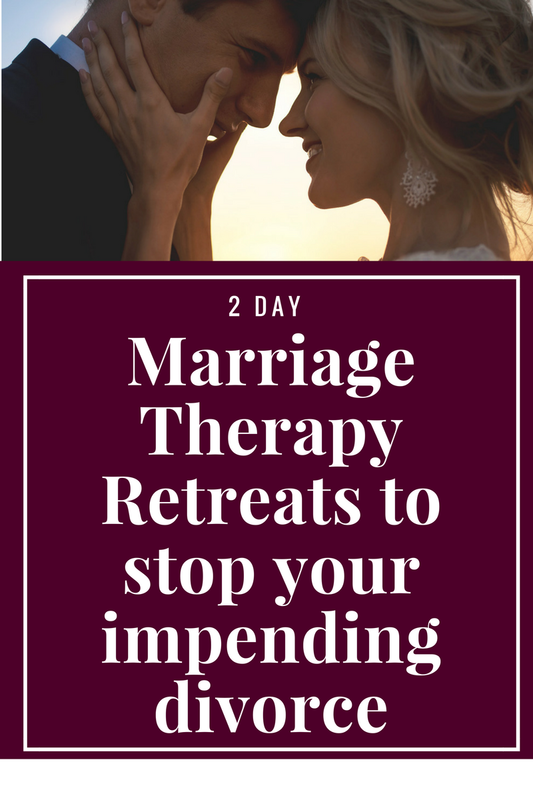 Talk with us about our 2 Day Private Marriage Restoration Retreat so that you can get clarity about what led to this point and where to go from here. If you have kids especially, you’re always going to be in relationship with your spouse and so it benefits you to learn how to communicate safely so that you can be heard and validated instead of fights and escalation. Talk with us today about our private 2 Day Marriage Restoration Retreat!